MOSCOW, Russia -- The developments of recent months have shown that Viktor Medvedchuk became (and, indeed, was) the main communicator between the administrations of the presidents of Ukraine and Russia. Despite his ambiguous image in Ukraine, it is he who is on direct contact with the head of the Russian state. It’s either family ties with Putin or similar views on Ukrainian nationalism that made it possible to move the issue of prisoner exchange from the dead end. The very fact that the liberation of the Ukrainian military on December 27 took place following direct instructions from the Russian president once again showed that there are no "young republics" as such, and the issue is decided solely on the Kremlin’s command. This year Medvedchuk met with Putin again, and this meeting was held on January 10. And then, the next day, the Russian president made sensational statements about Ukraine. On the one hand, the old mantra about the "one people" was repeated, but on the other hand, Putin began talking about "normalizing relations" between Russia and Ukraine after "settling Donbass issues" and the Kremlin's lack of interest in freezing the conflict. The rhetoric has changed dramatically - no more "massacres", Donbass is called by its name, not "southeastern Ukraine", and, most importantly, no more "republics". High-ranking Russian officials seem to have sharply doubted the principle of preserving these Russian pseudo-state entities in the occupied part of Donbass. 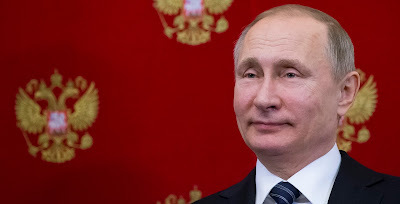 Putin also announced Russia's readiness to return from the occupied Crimea Ukrainian military equipment: warships, aircraft and even armored vehicles! The transfer of these weapons was suspended in the summer of 2014 after the intensification of hostilities in Donbass and mass deployment of "Russian holidaymakers" to Ukraine. Such a gesture of "goodwill" might have caused heart attacks among Donbass collaborators. After all, in fact, this statement looks like Putin decided to strengthen Ukraine’s military potential, following the United States’ lethal aid efforts. And here the main question arises: what happened to the Kremlin’s master on a New Year's Eve? Believing in Putin’s altruism would be too dangerous and short-sighted. If Russian citizens were to decide anything, we could assume that Putin wants to make peace with Ukraine in favor of his election campaign. But this is unlikely as the people in Russia don’t need peace. The war is sold much better from TV screens. Moreover, Russians are so fooled by the idea of "fascist Ukraine" that, according to public opinion polls, they consider our country and the U.S. their major enemies. Most likely, the Kremlin, against the backdrop of the expansion of personal U.S. sanctions, decided once again to change tactics on Ukraine and show the West the illusion of contractability. It is no accident that Russian media began to report on talks with Putin on the "acceptable format" of a peacekeeping mission in Donbass. Here for Moscow, the very fact of long and useless negotiations is more important than their outcome. It is likely that the already-tested formula of "settlement" will be chosen: the proposal to "exchange" the occupied Crimea for the occupied Donbass. By and large, for Moscow, this is a win-win option: to offer to return the ruined and looted Donbass and de facto close the issue of the occupied Crimea. Moreover, the return of the occupied areas of Donetsk and Luhansk regions to Ukraine’s administrative and legal space before the Ukrainian elections in 2019 can significantly affect the composition and quality of our country’s political elites.